In continuing our theme of “Home Away from Home” for this Winter Home & Garden Issue, I checked in with some of the hot new hotels popping up to find out what they’ve got going on. Whether you’re looking for accommodations to recommend to colleagues or guests who are coming to town, a place for a few nights of staycation for yourself, a hot new restaurant to try, or a location for a wedding or special event, consider these new properties in town. 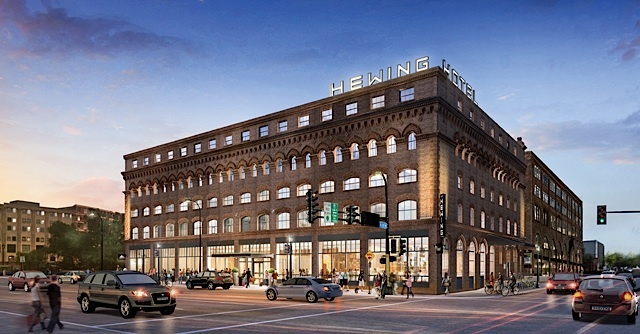 Hewing Hotel is taking shape in Minneapolis’ vibrant North Loop neighborhood, more commonly known as the Warehouse District, joining cultural stalwarts Traffic Zone Center for Visual Arts and Target Field, home to baseball’s Minnesota Twins. While Minneapolis presents a plethora of hospitality options, none tap into the local culture to create importance and significance beyond the business traveler. Hewing will occupy the historic Jackson Building, originally built in 1897 at the gateway to the Warehouse District, immediately tying it to local culture like no other. 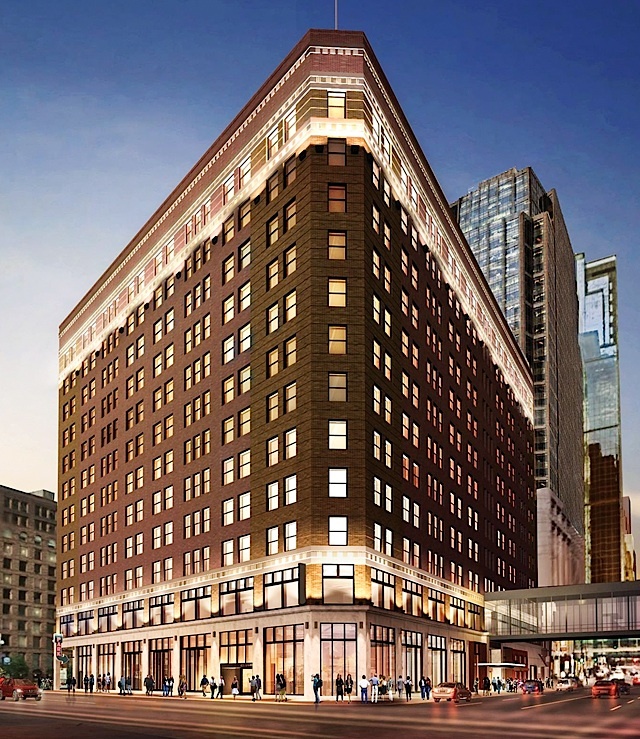 Its destination restaurant, Tullibee, will compete head-to-head with Minneapolis’ best and the rooftop Social Club should quickly become a premier destination for the neighborhood’s progressive citizens and the hotel’s out-of-town guests. The main level features The Andrews Ballroom, The Commissioner Boardroom, private dining rooms, lobby lounge areas, and a full-service restaurant with an open wood-burning grill and oven inspired by Minnesota’s woods and lakes. Hewing Hotel joins the esteemed culinary ranks of its North Loop neighbors, offering a dining destination helmed by Food & Wine’s Best New Chef 2015, executive chef Grae Nonas. With a focus on hyperlocal sourcing and partnerships with regional farmers, freshwater fishermen, and top-quality area vendors, Tullibee pays tribute to Minnesota’s culinary and cultural roots by drawing inspiration from its woods and lakes. The name “Tullibee” comes from one of the Minnesota’s rarest fish found in the state’s coldest deep northern lakes. Chef Nonas will embrace many of the practices that have rooted Minneapolis’s culinary traditions, including foraging, butchery, and fermentation. He will also showcase a full range of game and offal as well as a rotating market-driven chalkboard of off-cuts. Nonas will look to create dishes driven by seasonality, hearty vegetables, and sharable fish and meat dishes served from the restaurant’s wood-burning grill and oven. What Makes the Hotel Unique? 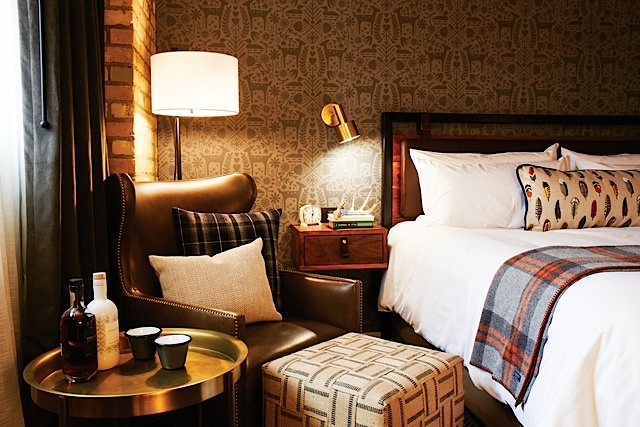 Aparium Hotel Group is transforming the century-old brick and timber warehouse Jackson Building into a Nordic-inspired retreat in the spirit of Minnesota’s northern woods and lakes. 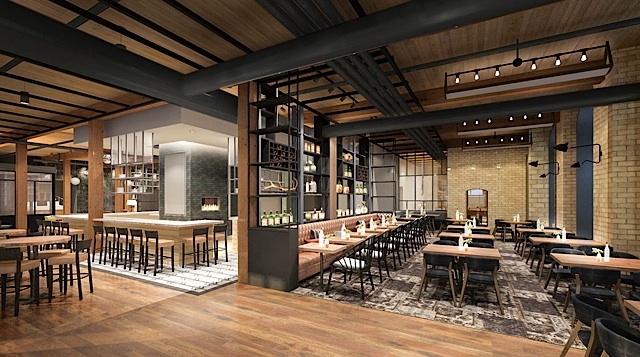 With the debut of the upscale, independent hotel, Aparium Hotel Group introduces Hewing as a cultural destination, complete with an onsite restaurant helmed by award-winning chef, as well as a unique rooftop experience. Hewing Hotel’s sixth-floor rooftop will welcome hotel guests and locals alike to a spectacular view of the downtown skyline that can be enjoyed throughout the year with a drink in hand. The space boasts a spa-pool designed for summer enjoyment and winter hot-tubbing as well as a 20-person cedar-wood sauna that is available throughout the year. Hotel guests and members of the rooftop Social Club, a one-of-a-kind amenity that provides special access to the rooftop, can enjoy the spa-pool, sauna experience, and special rooftop amenities during the day. Meanwhile, the public can take in the view at the extensive rooftop lounge complete with fire pits during the evening hours. 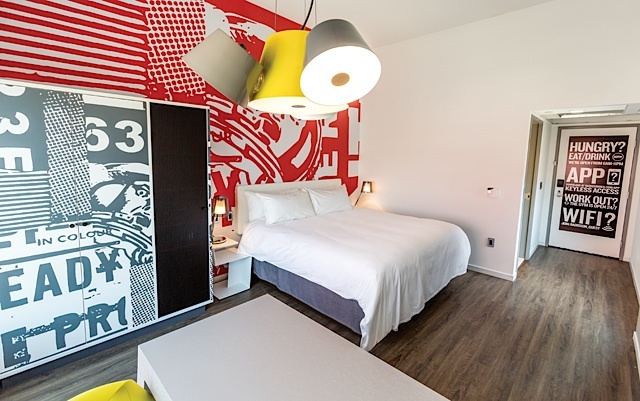 Radisson RED is a new hotel philosophy and lifestyle brand inspired by art, music, and fashion. RED connects with an ageless mindset and creates an experience that is localized, meaningful, and appealing to those who appreciate bold design, individuality, and simplicity. It features art inspired by pop culture with touches of Scandinavian design highlighted by efficient, modern, yet functional furniture pieces. The hotel is designed to flow, with flexible public spaces that break down walls traditional hotels use to separate areas such as the lobby, restaurants, bars and meeting spaces. Guests at RED are united by an appreciation for savvy design, energetic social spaces, technology that makes their lives easier, and customizable, unique experiences that connect them to their location. They want hotels that add to their travel experience, not just provide a place to sleep, and they want to feel connected to the community and to something bigger. 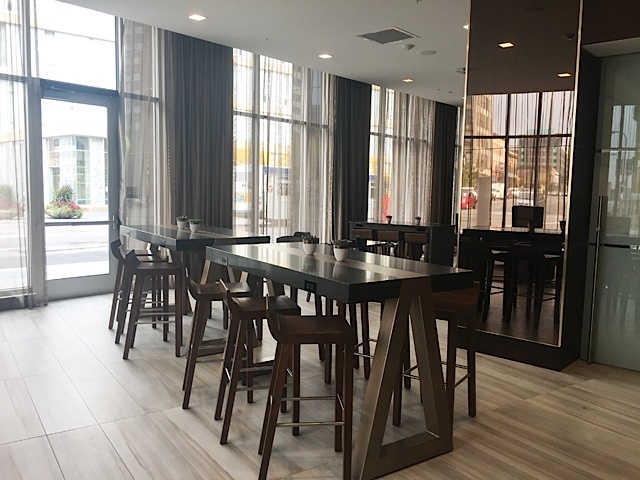 Radisson RED Minneapolis is located in the heart of downtown Minneapolis and is connected to the city via the Skyway system. It is a short walk to Target Center and Target Field and is just down the street from the new U.S. Bank Stadium. Because each RED hotel is connected to its location, Radisson RED Minneapolis boasts a large mural created by local artist Adam Turman featuring Loring Park’s murder of crows with the St. Mary’s Basilica and skyline in the background amongst additional pieces of art throughout the hotel. The 1000-square-foot Events & Games Studio holds up to 74 people for games, cocktails, and food. The space is completely customizable depending on the group’s needs. Pingpong tables and bean bag chairs fill the studio and when the space is not rented, it’s a lounge area open to guests. RED’s limited service restaurant and bar, OUIBar + KTCHN, is built around a simple, well-executed menu of local, sustainable, global street food and great local craft beer and coffee. Minneapolis culture comes to life through seasonal local produce and chef’s specials. OUIBar + KTCHN serves breakfast, lunch, and dinner, and beyond that, offers 24-hour access to a “to-go” fridge for light bites and late-night options. Guests can order and pay for food at OUIBar + KTCHN via the RED app at any time of the day or night. Radisson RED Minneapolis is also dedicated to sustainable practices, so it offers environmentally sustainable to-go packaging and aims to be as close as possible to zero waste. 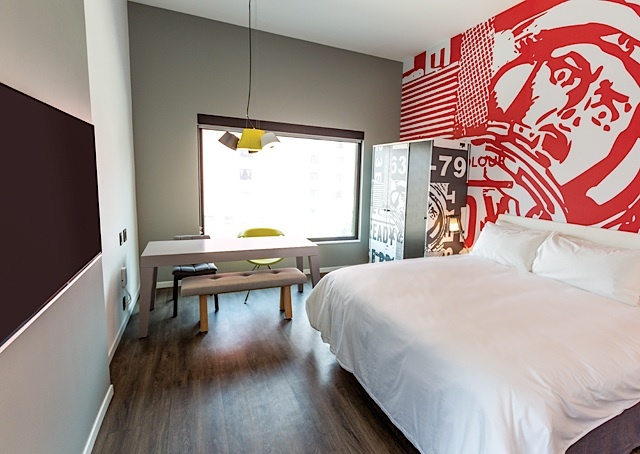 The flagship Radisson RED Minneapolis provides an experience unlike any other. The hotel’s design builds flow between spaces, creating an integrated “social hive.” It does not have a front desk, instead, staff mingle in the lobby to greet guests and assist with requests via tablet. Thanks to Baxter’s Pet Policy, guests can bring their furry friends, free of charge. RED chooses employees with bold style and individual personalities who bring the experience to life. Employees are encouraged to wear jeans and sneakers and can accessorize outfits. The brand trains staff in multiple roles so they can focus more on guests and less on the mechanics of a specific function across all areas of the hotel. 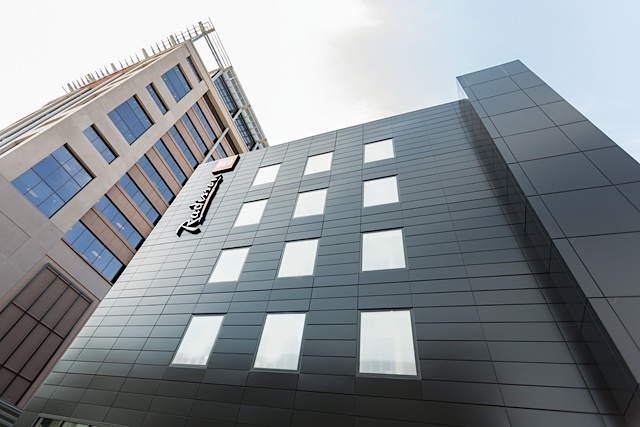 The Radisson RED experience is complemented by the RED app that simplifies the guest experience. In addition to providing easy check-in and keyless entry to rooms, the app allows guests the ability to order food, request services with an instant response via SMS, and connect to other guests staying in the hotel. Guests also have access to 200 dual band MGB Wi-Fi (no buffering while streaming!) and can use their device to stream music and movies from Netflix or Spotify directly to guest room televisions. Count on a unique stay at Embassy Suites by Hilton Minneapolis Downtown. Formerly the Plymouth Building, the all-suite hotel features modern amenities along with historic details like granite staircases and oversized windows. 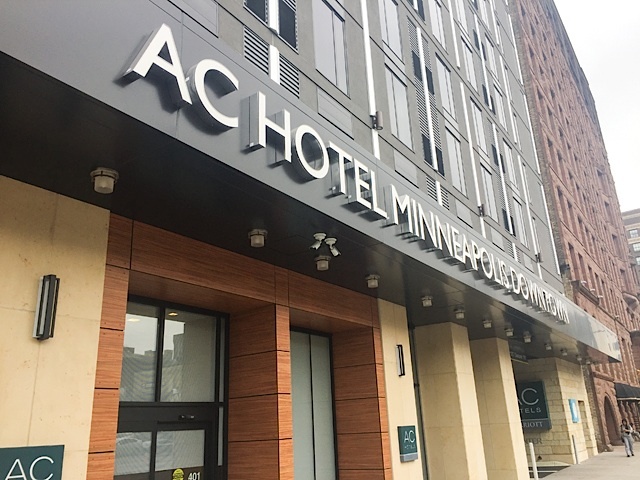 Directly linked to the Minneapolis Skyway System for quick access to offices, restaurants, shops, nightlife and pro sports venues or take the Light Rail, just a block away, to St. Paul, MSP Airport, and the Mall of America. From meetings, weddings, receptions, and reunions to traditional hotel conventions, you can count on planning professionals to help coordinate every aspect of your function. Event spaces with floor-to-ceiling windows with views of the city, boardrooms, atriums, and event spaces are all flexible enough to accommodate up to 800 people and to open yourself to the mindset of possibilities. Start your morning with free made-to-order breakfast, or pick up treats in the convenience shop. Join in any night at the complimentary Evening Reception, and enjoy cocktails at the stylish lobby bar. The hotel also has evening room service and is connected to Lyon’s Pub and Rock Bottom lounge. Listed on the National Trust for Historic Places, the Plymouth Building at the time it opened was the world’s largest concrete reinforced building in the world. Now, the hotel offers a heated indoor pool, work out in the 2,000-square-foot fitness center, and refresh in the locker rooms. 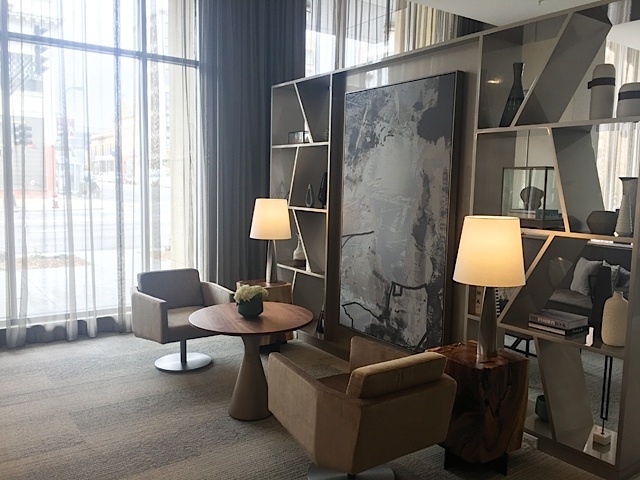 Located in the Hennepin Theatre District, guests enjoy thoughtful service and a modern mindset that elevates every travel experience. Each element of the hotel is carefully curated to provide a sophisticated retreat that’s rich in style and substance. Contemporary rooms feature upscale amenities including Smart TVs that stream media from your own devices, along with mini-fridges and complimentary high-speed internet access. Venue space is available to host wedding rehearsal dinners and showers, and other special events. You’ll enjoy European breakfast from the AC Kitchen along with tapas and evening drinks at the chic AC Lounge. AC Kitchen serves European-inspired breakfast each morning featuring assorted European and domestic cheeses, freshly baked croissants, artisan cured meats, a selection of yogurts and cereals, seasonal fruits, and sweet and savory tarts. At the AC Lounge, enjoy hand-crafted cocktails and European-inspired snacks, small plates, and sweets. AC Hotels focus on the essentials of a beautiful stay and have created an experience unlike any other, replacing room service with the flexibility of a quick snack or evening tapas plates. Bartenders are true urban spirits who will share the unique buzz of the city and all it has to offer. It’s an experience that has been designed to give you the essentials.